Breast augmentation is often one of the most transformative cosmetic procedures that women undergo. But due to complications like implant malposition or capsular contracture, you might not be able to enjoy the results of your breast surgery. Or, perhaps your tastes have evolved, and you merely want to change the size or type of your breast implants. With breast revision surgery, you can take control of functional irregularities and aesthetic concerns affecting your implants, allowing you to achieve the results you desire finally. 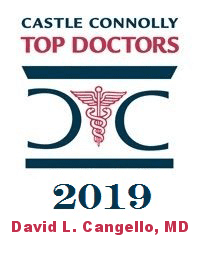 Board-certified plastic surgeon Dr. David Cangello is happy to discuss your treatment options. His renowned results from breast surgery have made him a surgeon of choice for models from some of the top agencies in the world – including Wilhelmina Models, IMG Models, and Next Management. Dr. Cangello creates elegant, natural-looking results to complement every patient’s figure. 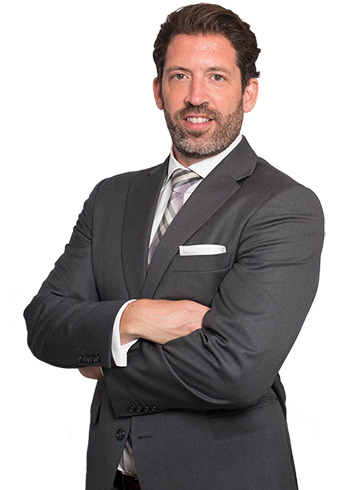 Contact plastic surgeon Dr. David Cangello today at (212) 644-4416 to schedule a consultation for breast implant replacement or breast revision in NYC. Cosmetic tastes evolve with age, and you may find that the look you desired in your twenties no longer aligns with your current preferences. Perhaps you have never been satisfied with the results of your initial breast augmentation. In either case, breast revision surgery allows you to obtain the look you want with new implants. Dr. Cangello works with you to create a custom treatment plan that incorporates your aesthetic goals and current tastes. Capsular contracture is a complication that sometimes occurs after breast augmentation. After implant surgery, the body typically produces a thin “capsule” of scar tissue around the implants. In some cases, excess scar tissue develops and constricts the implants. This can cause the breasts to become hard and misshapen, which is sometimes painful. This condition will not resolve on its own, and the scar tissue must be surgically released. Many women choose to have a new set of implants placed after the excess scar tissue has been resolved. Rupture occurs when the outer shell of the implant develops a tear. This can be caused by physical trauma, the age of the implant, compression during a mammogram, and other factors. When a saline implant ruptures, the saline leaks out, leaving behind a collapsed breast. The saline is harmless and is absorbed by the body. Silicone gel is cohesive and form-stable, so a rupture might not be immediately apparent – called a “silent rupture.” If you suspect your silicone implants have ruptured, it’s important to schedule an MRI to check for leakage. Once a rupture is confirmed, you should have your implants removed as soon as possible. In most cases, women opt for breast implant replacement after having their ruptured implants removed. Whether due to a change in lifestyle or a shift in cosmetic tastes, some women are no longer satisfied with the look or feel of their breast implants. For these patients, breast implant removal surgery is an option. If the implants were relatively large, removing them may cause the breasts to appear deflated. When indicated, a breast lift can be performed with this procedure to restore a natural aesthetic. When the implants move from their intended location or were not placed in the proper position initially, this is referred to as “implant malposition.” Implant malposition can occur from factors such as trauma, technical mishaps during implant pocket formation, aging, or capsular contracture. This condition may cause the breasts to look asymmetrical or irregular, and one or both of the implants are typically either too high, too low, too far out laterally, or too close together. Through a revision, Dr. Cangello can restore balance and symmetry to your breasts. Rippling or wrinkling sometimes occurs at the implant edges. This is common with saline implants, especially in thin women who have little surrounding natural breast tissue. While rippling is not dangerous, it produces an unnatural appearance. At your consultation for breast revision in NYC, Dr. Cangello can help you choose implants that are suited to your frame and natural anatomy, which will eliminate cosmetic irregularities. He may also suggest adding tissue coverage over the implants with Alloderm (an allograft of the dermis) or fat grafting. A double bubble deformity is a rare complication that occurs when the implant descends below the normal breast crease, creating a second bulge beneath the breast. It can also happen when the implant appears to rise upward (usually due to capsular contracture), causing the lower part of the chest to look loose or deflated. A double bubble deformity can be corrected through revision surgery. Dr. Cangello may also perform additional procedures to restore an ideal appearance to the breasts, such as a breast lift. Dr. Cangello understands that patients may be overwhelmed with their options for a second breast surgery. For this reason, he strives to facilitate comfortable, informative consultations that allow you to understand your options fully. Breast revision is highly customizable, and your treatment plan will depend on various factors such as your anatomy and the extent of functional or cosmetic irregularities of your current implants. During the consultation, Dr. Cangello will conduct a physical examination of your breasts, and he will address any questions or concerns you may have about your potential procedure. Likewise, he guides you through your options – including implant size, shape, and type for those undergoing implant replacement – and he helps you explore additional procedures such as fat transfer. Fat transfer can produce modest size enlargement of the breasts using your fat, and many patients find this to be an attractive alternative to having breast implants. Whether you’re seeking breast implant replacement or another procedure, Dr. Cangello creates a custom treatment plan that meets your cosmetic tastes and preferences. Women who would like a different size, shape, or type of implants will undergo a breast implant replacement procedure. This is straightforward, but additional procedures may be performed if there is excess scar tissue or if the breasts have considerable sagging. Some patients also choose to undergo breast augmentation via fat transfer instead of replacing their implants. A breast lift is sometimes performed to restore the breasts to a more neutral position on the chest. It is frequently performed when the patient chooses to have implants removed and not replaced. It may also be performed during a breast implant replacement and when correcting a double bubble deformity. A capsulotomy or capsulectomy is performed for patients experiencing moderate capsular contracture, and it involves the surgical release of scar tissue. A capsulectomy is needed for severe cases of capsular contracture, and the entire capsule is removed. In some cases, a partial capsulectomy combined with capsulotomy may be performed. After the scar tissue has been addressed, new breast implants can be placed. Schedule a consultation for breast implant replacement or breast revision in NYC by calling Dr. David Cangello at (212) 644-4416. Will surgery correct my capsular contracture? Unfortunately, when a patient experiences capsular contracture, she is at increased risk for having it again in the future. While surgery can indeed correct capsular contracture, it’s important to understand that capsular contracture may recur. How can I tell if my implants need to be replaced? Many patients ask if they must replace their implants every ten years. Most surgeons would not perform surgery on a patient who is not experiencing any problems with her current implants. If you are experiencing breast pain, or if you notice a change in the shape of your breasts or increased firmness of the breasts, these may be indications that you need breast implant replacement. If you discover that an implant has ruptured, this is another indication for breast implant replacement. I’m Unhappy with My Recent Breast Augmentation. How Soon Can I Get a Breast Revision? If you are unhappy with the results of your recent breast augmentation, it’s important to understand that it may take time for your breasts to fully settle. Due to swelling, the final results of your breast augmentation might not be apparent for up to six months. It’s best to wait until six months to a full year after your breast augmentation before considering a second surgery. What Is Recovery Like After a Breast Revision? Since several procedures might be performed during, and your recovery will vary. When you wake up, you can expect to have a surgical dressing over your incisions, and you will be wearing a post-surgical bra. You might feel some pain or tightness in your breasts during the first few days, but Dr. Cangello will prescribe pain medication to reduce any discomfort. By one week post-procedure, you will probably feel up to resuming your regular daily activities, but strenuous physical activity should be avoided for about four to six weeks.